Publisher Activision has some good news for Call of Duty lovers. 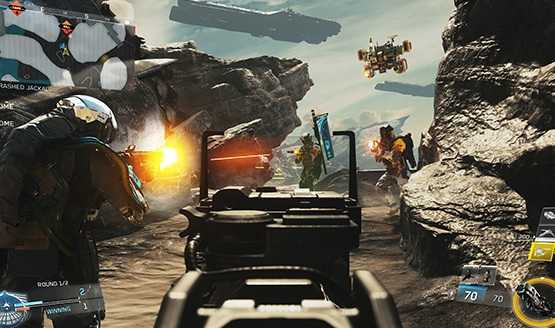 If these fans are not quite sure if they would like to invest in the first-person shooter Call of Duty: Infinite Warfare, then the best way for them to decide is by trying their hand on the free trial version available. Developer Infinity Ward, this free version is available on both Xbox One and PlayStation 4 gaming consoles. Although there has been no announcement about the duration of the trial period, it is clear that this will be only for a limited duration. Both Xbox One and PlayStation 4 users must remember to keep an important aspect in mind regarding the trial game. This is close to a full game download and so players are requested to keep as much space ready on their consoles before starting off with the download. On an average, about 60 GB free space is recommended. Also, as with the paid version, players can try putting their shooting skills by trying their skills with all three modes. 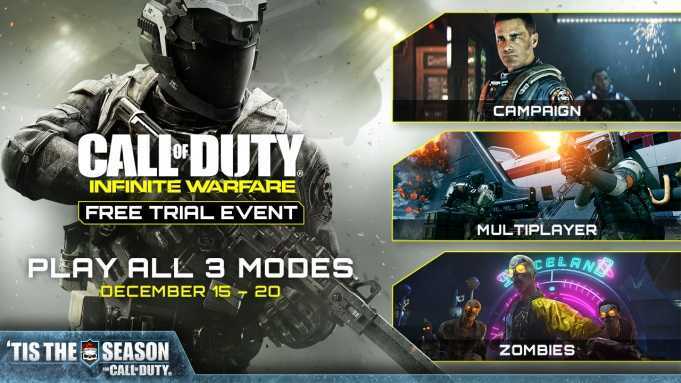 These include the single player, multiplayer and Zombies modes. The only difference is that the number of levels playable in each mode in both consoles is lesser than in the actual Call of Duty: Infinite Warfare game. Gamers can play a maximum of two campaign missions in single player mode, three levels in Zombies mode and 15 levels in multiplayer mode. To get the free version on Xbox One, gamers can visit the Xbox One store and head straight to the Infinite Warfare game page. Once there, all they have to do is to click on the Trial button and the download followed by installation commences instantly. As for PlayStation 4 lovers, they can visit the PlayStation store and look for Call of Duty: Infinite Warfare Free Trial. While Xbox One users will need Xbox Live Gold to play all three levels of the game, PS4 counterparts must possess PlayStation Plus to play the Zombies and multiplayer modes. Last but not the least; there is a bonanza if you decide that the Call of Duty: Infinite Warfare is something that you must add to your game list and buy it. All scores that you have earned in the free trial version in all the three modes will get transferred to the purchase game. They will add on to the scores you earn when playing the paid version of the game.